Specification: 160 page full colour paperback guidebook. Page size 210mm by 120mm. Weight 240 grams. 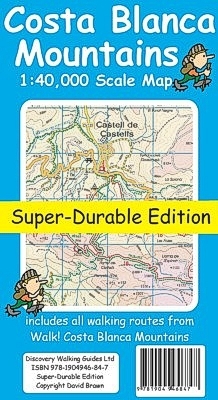 Map sections from Costa Blanca Mountains Tour & Trail Super-Durable Map at 1:40,000 scale. Walk! 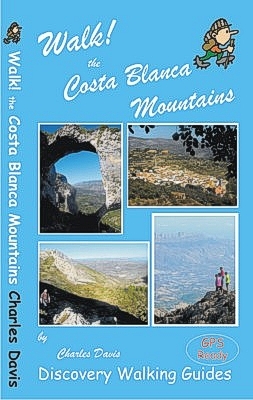 Costa Blanca Mountains pdf version 79 A4 pages isbn 9781782750130 £4.99 available for Instant Delivery - Purchase with PayPal. Please click on the download link in your email to download your 9.8Mb Walk! Costa Blanca Mountains pdf version soon after purchase as the encrypted link is time limited.